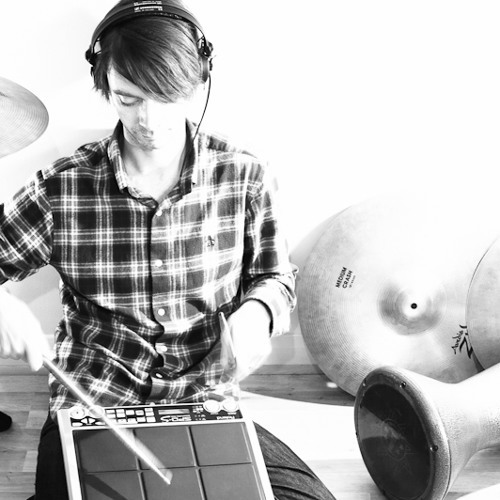 Cornwall based Drummer, Group Electronic Drum Teacher and online session drummer. Over 20 years drumming experience 10 years experience playing live electronic music. Online Electronic Sessions Drummer. Drum sample creation, loop writing, drum recording and producing using ProTools and Battery 3 Extensive live experience - Bestival, Glade festival, The Secret Garden Party, Strawberry Fair Cambridge, Festinho, Festival Awards O2 Academy Islington, The Jazz Cafe Camden, Scala Kings Cross, The Junction Cambridge, 93 Ft East Shoreditch, Cargo Shoreditch, The Macbeth Hoxton, Bloomsbury Bowling Lanes. Started own record label with Moe Foe Released Album Infinite Monkeys Grade 8 Drums and Grade 5 Music Theory Bio (This is a bit of waffle if anyone's interested) It all started back in 1992 I remember it so clearly hearing Smells Like Teen Spirit for the first time. It was at that point everything changed. Hearing Dave Grohl on the drums was a revelation, he didn’t play the most technical beats but it was just all amazingly solid and satisfying. My induction to the world of drumming was the grunge explosion so I spent the next three years playing Mudhoney, Soundgarden, Pavement, Nirvana, L7, Pearl Jam to name just a few, which was smelly teenager heaven. The first serious band I played in was a four piece pop/rock group. I was the youngest member of the band at 16 with the others 18 and the lead singer at the ripe old age of 23. We wrote an albums worth of songs and rehearsed 8 hours a week whilst all holding down full time jobs. Unfortunately this came to an abrupt end because I left to live in Australia for a year, oops! If I hadn’t left for Australia I would never have met my lovely wife who I have now been with for 15 years, everybody say "aaah". On my return I had a brief stint playing the bass in a band with my brother. After buying a bass and practicing religiously to learn all the songs the drummer promptly left and I was once again sat on the throne. This band also came to an abrupt end when my brother rather carelessly impregnated his girlfriend; luckily Isaac (my nephew) is a rad dude! This brings me onto my live electronic music career I’ve been playing since 2000 when friends who had just finished an Audio Music Tech degree had written an album worth of songs between them and were asked by a promoter to play them live. As they had no experience of playing live music and no idea how to reproduce these songs for a gig they of course said yes!?! The band was quite an impressive affair with 2 MC’s and 1 DJ and we be rockin down with no delay… sorry got carried away there ; ) All in all it was an 11 piece band and rehearsals were complete chaos. It was a steep learning curve to play the songs live. When we started I didn’t have a click track to play to and just had to listen very carefully to where we were in the song and panic as I heard everyone else getting lost. I even put out a fire on stage once and managed to keep the show going! We had a good following up in Cambridge, we recorded an EP won the Cambridge battle of the bands and featured on the local radio a few times. The problem with a 11 piece band is commitment and slowly band members drifted off and the band split into two because there were two producers. I carried on playing in both bands but this turned out to be too much. So I made my decision and the band Moe Foe was formed. Moe Foe featured live drums, percussion, bass guitar, female vocals, keyboards and triggered samples. We also had a backing track that featured guest musicians, harmonies and some more percussive sounds. The style of the band was an organic Drum n Bass/Breakbeat style featuring real recorded instruments including acoustic guitar, tabla, harp, bass saxophone and sitar. We collaborated together in writing the songs I wrote the drums, some of the guitar parts and harmonies. Because the band had an organic feel we were asked if we could play the songs acoustically. So we stripped the songs back and developed an acoustic set in which I played the guitar, cajon and sang harmonies. This turned out to be a great move for us because it opened up a lot more gig opportunities. Over the next 6 years our career highlights included; starting our own record company LED Productions, recording and releasing our own album, playing a string of UK music festivals including Bestival, Glade, The Secret Garden Party, Festinho and The Strawberry Fair, playing legendary venues in London including The Jazz Café, The Scala, O2 Academy Islington and Cargo. This brings me up to date. The Moe Foe thing has calmed down a bit, due to me moving down to Cornwall to read Music at Falmouth University. I am playing with a downtempo electronic band called OP21, we're just finishing off 12 new tracks. I've also got a few other projects in the pipe line involving a blue grass band and group of DJ's creating a live show.